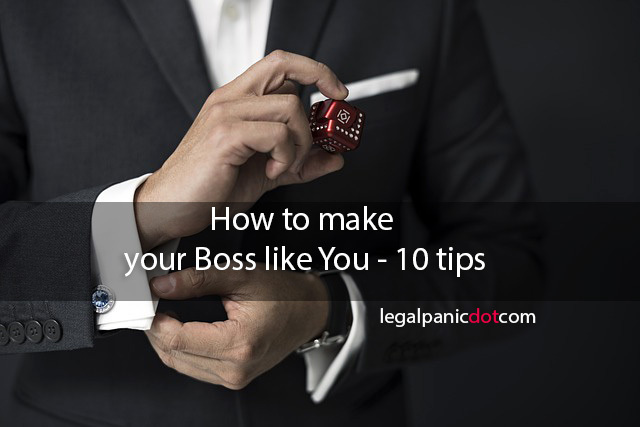 Knowing how to make your boss like you is important for any employee that is serious about increasing his/her career growth. More often than not, people complain about the ill treatment they get from their bosses in the office. so many employees do not know their company’s goals and objectives. A clear goal will help one plan and make decisions that will increase the performance of the company. Be aware of his/her mood. This will help you predict him when he is angry. Don’t fuel the mood, if possible keep your distance at that time and try not to take whatever is said personally. procrastination they say is a thief of time. Create a to-do list and as you complete each task, tick the box. That way, you are able to check if there’s any task left undone. On the job, you are expected to multitask, as each task is given, list them in order of importance and deal with them as such. That way, you are able to meet deadlines. build self-confidence. Don’t be the type that shies away from their bosses, rather learn to look your boss in the eye during conversations. You can’t always provide solutions to all the problem in the office, neither will your idea be accepted but do not be silent when you are expected to speak. We understand that there are some circumstances that may occur for one not to get to the office early, what you do when you’re running late is to place a call to the office to inform them that you will be late. Don’t make this frequent. people who ask questions are seen as being intelligent and they are therefore taken seriously. The more you ask questions, the more you know and the better the result you’ll produce. if your boss can count on you, that means you’re dependable. Learn to do your job with little or no supervision and always strive to meet deadlines. Do not for any reason wear a rumpled shirt/blouse, pant/skirt to the office. You also do not need to empty your bank account to look good. All you need do is know how to combine colours and patterns with the right shoes and you’re good to go. Bonus: Always wear a smile.